Is it necessary to carry all these items? What challenges or threats are you likely to face? What can you add to better tackle these threats or challenges? The Everyday Carry community is growing and the number of people who want to know more about it is growing. They scroll through pages of images and even then, they do not fully understand what it is all about. So what does Everyday Carry mean? 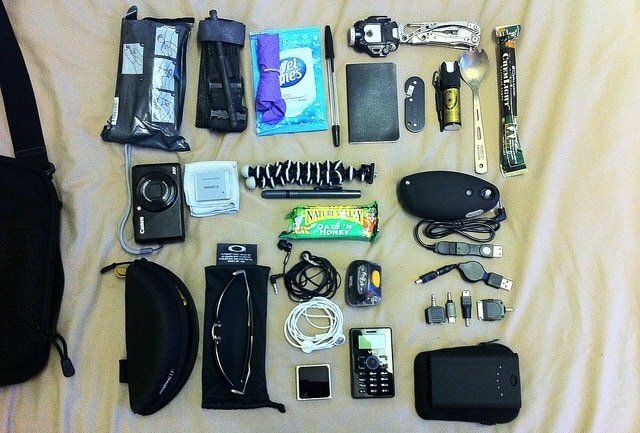 Is it just the items you have in your pockets? In its most literal sense, everyday carry, or EDC, is the collection of items that you carry in your bag or pockets on a daily basis. They are the stuff you tap your pockets for before you step out of your house. 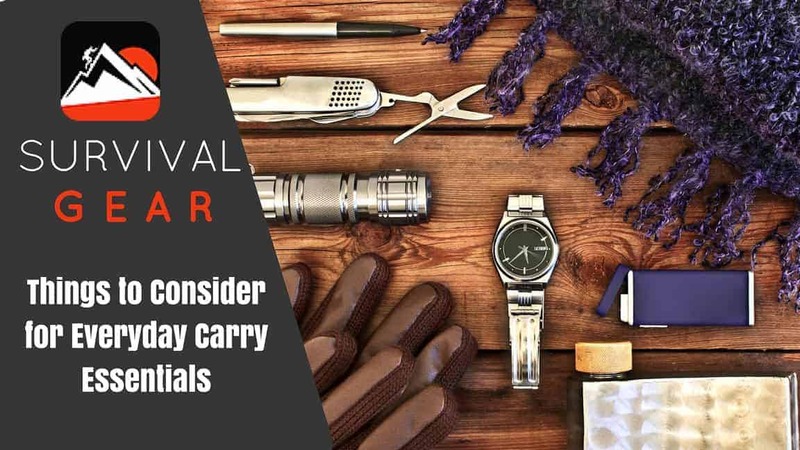 In this article, we give you some recommendations to choose the right everyday carry essentials for your needs. The cornerstone that the everyday carry philosophy is built upon are preparedness and utility. Each component of your EDC should have at least one specific useful function or serve a purpose. 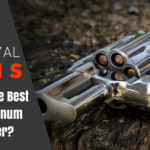 The mainstays in your everyday carry should have certain qualities that fall in line with various principles of the practice of EDC. Every day, your EDC essentials are the items that prepare you for worst-case scenarios and empower you to do your very best. The best thing about it is that at some level, every person already has an EDC. An EDC approach to the items you carry every day has many advantages. 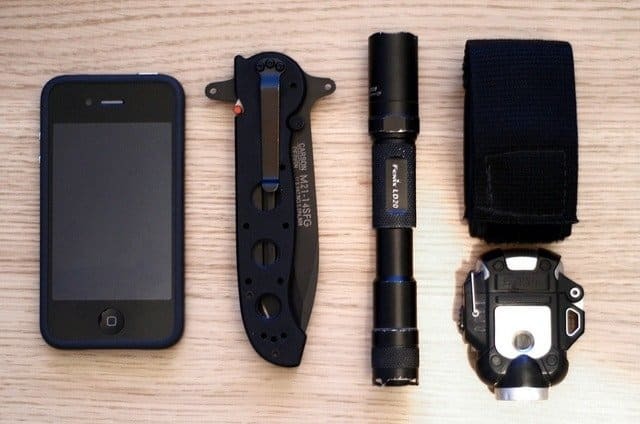 You can enjoy a wealth of advantages by thinking about what you keep in your pockets as part of your actual EDC system. Self-reliance and preparedness – Having your EDC tools at hand every day equips you for most of your daily routine. But it also helps a lot when unexpected situations pop up. With your EDC, you can work on things quickly and not need help doing them. 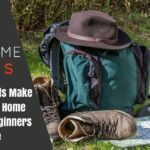 Easier days – When you have new tools, you make sure that you have access to different types of functions that make your day a whole lot easier and your life a whole lot better. When you take an EDC approach to upgrading the essentials you already use, you ensure that their performance and efficiency is maximized, giving you a better overall ‘in use’ experience. Convenience – There are times when you may not need assistance to get things done, but you would have to waste a lot of your time trying to find the right tool to solve the problem or handle the situation. When you have a well-built EDC, you do away with the need to ask to borrow a simple tool, rummage through old tool drawers, or give up on a problem and tell yourself that you will not forget to bring the tool you needed the next time around. EDC items are extremely convenient and make your life much easier. Long-term savings – By investing in EDC essentials that are able to withstand everyday wear and tear and perform up to your personal standards, you could be potentially be creating some long-term savings. Siding with reliable, well-made, and durable products means that you will not have to spend more to replace cheaply-made, inexpensive disposable items every few months. If you have already caught the EDC bug, you may know that this is not always true. However, many EDC products achieve a good balance of value and quality, that give you a buy to last a lifetime, so you buy them once and get your money’s worth. Personal expression – Personalizing your everyday carry is without a doubt one of the most important aspects of the lifestyle. The items that you carry and use say a lot about the type of person you are, what you do, what your preferences are, etc. Your EDC kit is a sensational way to express yourself. Refining your kit to reflect you as an individual is one of the most fun reasons to look for new EDC items and multiply your gear. Phone – There is no doubt that this is one of the most important EDC in today’s world. Modern smartphones allow you to do so much more than before. There is no other device that matches the versatility and functionality of a smartphone and still fit perfectly in your hand. Through hardware accomplishments alone, smartphones reduce the need to carry a watch, camera, flashlight, pen (for some people), a phone since it is a phone, and for some people, a wallet. Wallet – Wallets keep your IDs, cash, cards, and other paper documents nearby and well-organized. While the wallet may not be as important as what you carry inside it, it serves a critical purpose to protect these critical and essential assets from loss and damage. Key Chains – Keys allow you to secure what is vital to you and also go places. They deserve a place in every EDC because they keep critical keys together, making them easy to find and use. Yes, they can be noisy, difficult to manage and clunky, but the majority of people cannot live without them all the same. What is fantastic about them is that you can keep add-ons to spruce up your key ring and make it more useful and practical. Pen – In everyday situations, you will need a pen to update a to-do list, note down phone numbers, make a list of things to remember, etc. In survival situations, a pen can be used to write notes about water source locations or other things you may need to come back to while you are trying to get out of the situation or wait for rescuers. You can also use to write notes for rescuers. It may not seem like much when you think about it now, but a pen can be an extremely useful EDC item to have in your kit or pocket. Notepads – What good is a pen if you have nothing to write on? Your hand is not that practical! You should get a quality, waterproof notepad that fits in your pocket. Quite a few are available on the market and they will be handy when you need to write something in an emergency or survival situation. Knife – It may surprise some to know that a fantastic pocket knife is an essential EDC. While there are cultural differences and laws that may portray this essential in a negative light, a reasonable-sized, well-designed pocket knife is primarily a tool. When you use it responsibly, it can be handy for a wide range of purposes – opening boxes and letters, slicing meat, cutting twigs, etc. With that said, not everyone will be able to carry a knife legally or even need one, but it is critical that a fabulous pocket knife is viewed more for their practicality than anything else. 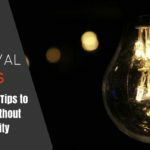 Flashlight – From looking under couches to getting through power outages to navigating a path that is dimly lit, it will be extremely helpful to have a light source in your pocket. Some are content with using their phone’s camera flash or screen for light. But modern flashlights, with a dedicated battery, multiple modes and features, perform far better, whether it is in daily tasks or emergency situations without draining the battery in your phone even more. This makes them essential in many EDCs. Multi-tool – This is the item that embodies many of the core EDC principles – utility, portability, and versatility. For tinkering, quick fixes and lots of other uses such repair work, having a toolbox’s worth of functionality tucked in a single tool that you can put in your pocket is truly invaluable. The most common multi-tool functions include screwdrivers, pliers, scissors, bottle openers, tweezers, and many other handy tools. There are many cool, high-quality multi-tools available on the market and they have all the functions you need to handle any situation, whether an emergency or simply unexpected. Paracord bracelet – Many people include this in their EDC. These bracelets are extremely useful in survival situations or emergencies. Most come equipped with a whistle, fire starter, and even a scraper. 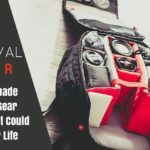 It is a handy item to have in all types of survival situations as well as for camping, hunting (if you do not hunt, that is fine), hiking, and so forth. The answer to this question is no. When it comes to everyday carry, it is all about making a setup that addresses your specific needs. Just as all people are different, their respective EDCs will differ significantly. You should acquire and carry items that you need based on your lifestyle, daily routine, profession, location, budget, style, and so on. In general, your everyday carry should be functional and reliable but most importantly, personal. It could be that you are a minimalist at heart or simply like knowing that all your bases are covered. If you make up your EDC kit to be an extension of you, you should make sure that you are completely comfortable with it. An excellent EDC shows that you have the foresight to include the things you personally need daily and the restraint to leave the items that you do not need behind. There are 2 ways to personalize your EDC and make it better. These are basically questions that you should ask yourself to find out exactly what your specific needs are and improve your kit to best meet them as well as challenges. The first step to identifying which tool is most useful for your EDC is to make a realistic assessment of the problems you are likely to face. Just because every kit that you see has a particular item does not mean that you need to include it in your kit. Your ideal kit should be tailored to YOUR specific needs! You can do this by identifying the threats present in your local environment – muggings (most American cities ran by liberal forces have created urban decay and despair – Chicago, Baltimore, Miami, Oakland, and so on – you may want to carry a knife or something even more potent such as a gun), earthquake, terrorism, etc. as well as problems that you are likely to face on a frequent basis – needing to open boxes or packages at work, walking in a dark parking lot, etc. make a realistic assessment of both the probability of these problems and the potential impact they will have. Once you have chosen your EDC kit and added everything you need, you should make sure that you review it periodically. This will help you ensure that each item you are carrying is still relevant to all your needs. In this day and age, threats and challenges change rapidly, so it is wise to review your EDC on a regular basis. Add a good map. Without it the compass ain’t much good.